The book takes place not long after Superstorm Sandy ravaged the East Coast in 2012, so there is definitely a somber tone throughout that’s balanced by the feeling of hope in the air. The town is rebuilding, everyone’s working to get back on their feet; it’s not without setbacks, but Seaside Park is getting there. I really liked Lucy a lot; her interest in marine life and her academic drive coupled with her love of her hometown was refreshing! I loved her inner monologue, her love of the ocean, and her varied interests. I also loved her relationships with the people in her life. There was a lot of drama, included love triangles, but it felt like very realistic teenage drama. The ache of having seasonal friends, fighting with your parents, growing pains within your friend group, feeling replaced, realizing that you and your boyfriend might not have been meant to be more than best friends, competing with your sibling, and all the other stress that goes along with being in high school. The thing I liked most is that everyone has these moments where they realize people make mistakes. And it takes work to get relationships back on track but it was refreshing to see them apologize to each other, to be mature and really work on their friendships. Sometimes the dialogue was cheesy and oh gosh years of missed opportunities is the worst, but the romance was also very sweet although I can’t say I shipped anything very much. I did like Connor and the shared history between him and Lucy. Sometimes the flashbacks got confusing and I couldn’t tell whether I was reading about present day or not. Overall I would definitely recommend this book to contemporary fans. It wasn’t earth-shattering but I could feel the ocean breeze and smell the boardwalk food. It has a unique New Jersey flavor mixed with summer romance and real relationships between family and friends, which was very appealing. Have you read TSAYAM yet? What other summer books do you love? 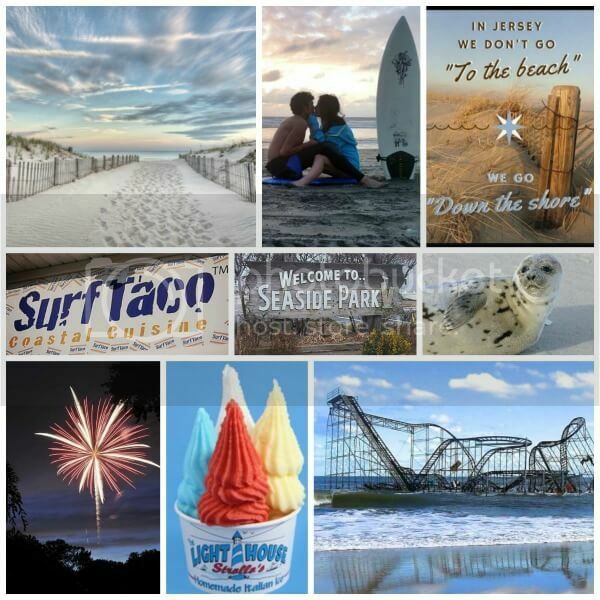 And have you ever been “down the shore”? Let me know in the comments! This sounds like a great read! I’ve added it to my wish list. I don’t think I’ve read any books that would fit in this genre. For whatever reason Saint Anything by Sarah Dessen came to mind while I was reading this review. It was a pretty great read but not set during summer or on the beach. Lol. Thanks for sharing your thoughts! I don’t think I would have found this book otherwise. Yay!!! You felt the jersey shore so much in this one!! I really enjoyed it! So glad you agree! As you said not earth shattering but nice characters and awesome setting! Ah, this sounds like something I would love!! Glad you enjoyed it so much!